Peter Pan record Marianne sung by Terry Gleason with Peter Pan Orch #456-A and the Little toy drum sung by Danny Stevens and the Four Sergeants. 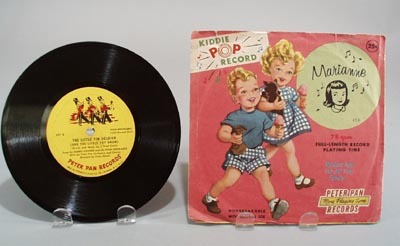 #527 part of the Kiddie Pop record series. Record shows wear and some scratching, cover also shows wear and small tears/bends. 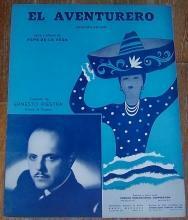 Record is 6 7/8"" and cover is 7 1/4 x 7""
Items Similar To "Peter Pan record Marianne sung by Terry Gleason"